* 58 | Pre-views, level help, tips and videos for ALL Facebook King levels! Level 58 can surprise you good! Shoot to hit as small clusters of bubbles as you can, rather only pairs to burst than clusters of many bubbles. 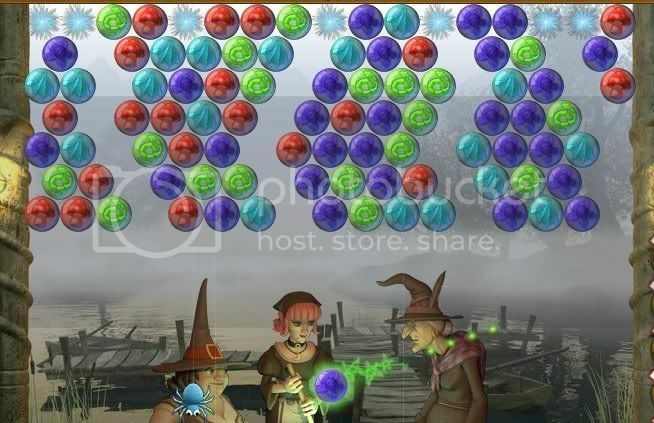 Special note: If you use the Magic potion 3+ holes in the ceiling, you might get surprised when there are bubbles falling down from the board right in the beginning. See attached picture, where the left side cluster will drop as soon as you have hit the first bubble. But you will need to use the 3+ holes, if you are going for more then one star.